Our Platinum holiday accommodation has everything you need to make your holiday perfect. It strikes the perfect balance between luxury and comfort meaning you feel right at home but with a little something extra to make it feel special. 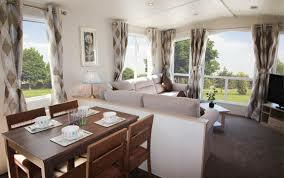 Our two and three bedroom Platinum caravans are all of a very high quality with open plan living, large bathrooms (some of which are en-suite) and modern amenities. The design is contemporary, light and spacious meaning there is room for all the family. Some of our platinum caravans are located by the play area with big front windows with views of Moel-Y-Gest, meaning you can keep an eye on the kids whilst enjoying the ever changing vista. Upon arrival your beds will be made for you with fresh crisp linen and soft fluffy towels. You will also be able to take advantage of our complimentary welcome pack which includes some essentials meaning you don't need to worry about packing the tea bags. All of this leads to a relaxing and stress free arrival meaning you can start your holiday as soon as you drive through the entrance. Some of the features that our Platinum accommodation include are: large corner sofa, dining table and chairs, flat screen TV in the lounge, TV in master bedroom, free park WIFI for 24 hours, iPod dock and well equipped modern kitchen. 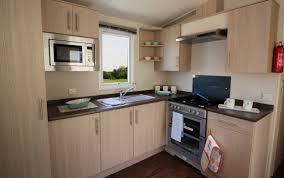 Prices start from as low as £325 per week. We also have great short break options available too. For more information please visit our website or call one of our helpful staff on 01766 512210.